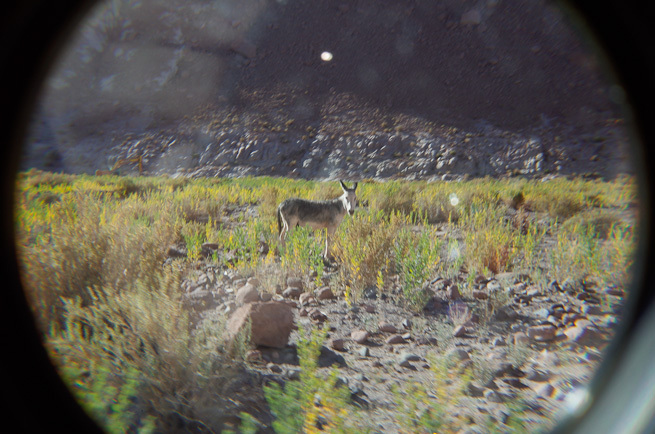 When the Spaniards reached the highlands of the Atacama, they brought some donkeys along to carry their arms and supplies. As it turned out, though, the donkeys wouldn’t really perform that well under the high altitudes and the extreme weather conditions of the desert. When fighting the indigenous tribes, the Spanish conquerers soon stumbled on the lama: Well-adapted to the area, this animal always seemed to be ready to serve. So the Spaniards decided to screw the donkeys. They got themselves a bunch of lamas, put all their stuff on their backs, and left their useless imported donkeys alone in the desert, facing a slow and horrible death. Guess what happened next? The Spaniards continued to fight their battles. For the most part, they managed to subdue the Indians. The role of the lama isn’t known to me. All I know is that, at some point, the locals got fed up with their conquerers and threw them out. They built their own countries. So the Spaniards are long gone. But: What about the donkeys? The donkeys those Spaniards left there hundreds of years ago? Without water, without food, without any care whatsoever? Derive your own life lesson from this. “Become a wild donkey” probably doesn’t sound like much. But it’s a story that makes me smile every time I remember it. The photo is perfect for this article!